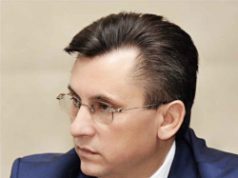 On 22 February 2018 the President of the Constitutional Court of Georgia Zaza Tavadze, as Acting President of the Association of Constitutional Justice of the Countries of the Baltic and Black Sea Regions (BBCJ) received the letter from the President of Constitutional Tribunal of Poland Julia Przylebska expressing willingness to become the member of the BBCJ. In the motivation letter it is highlighted that the Constitutional Tribunal shares the aims outlined in the Declaration on the Establishment of the Association and its Statute, and would like to have the opportunity to contribute to the activity of the Association and to gain new experience, inter alia, in matters of constitutional justice. 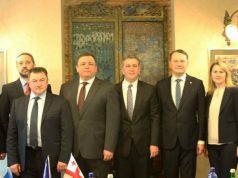 The membership issue concerning the enlargement of the BBCJ shall be discussed at the working meeting at the beginning of April in Tbilisi with the participation of the Association members – Constitutional Courts of Georgia, Lithuania, Moldova and Ukraine. 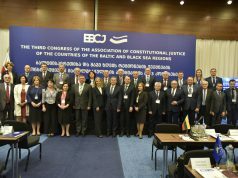 Upon the membership is granted, the Constitutional Tribunal of Poland shall participate in the third Congress of the Association of Constitutional Justice of the Countries of the Baltic and Black Sea Regions which shall take place in May in Tbilisi. 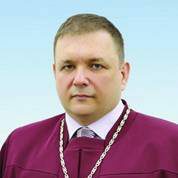 Previous articleStanislav Shevchuk was elected Chairman of the Constitutional Court of Ukraine at the special plenary session of the Constitutional Court of Ukraine on February 21, 2018.